The physics of “cat-turning” has been a subject of fascination for hundreds of years, in part because a cat’s almost uncanny ability to land on its feet seems, at first glance, to violate the conservation of angular momentum. 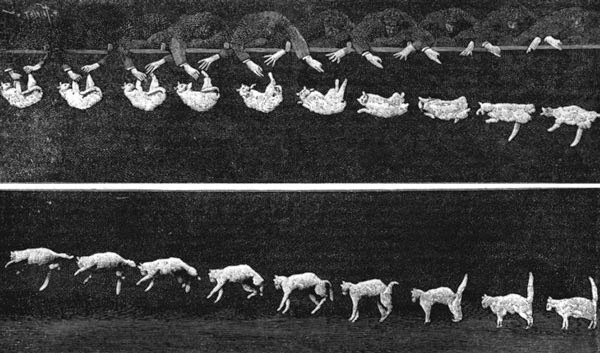 Images of a falling cat published in Nature in 1894. As roboticist Dr. Jeff Bingham points out, “Angular momentum being conserved does not necessarily mean that motion is zero.” As the cat falls, its front and back halves rotate in opposite directions, keeping the total angular momentum constant. By twisting its spine and alternately tucking and extending its front and back legs, the cat can manipulate the different rotation rates of its front and back halves to flip over and land on its feet (see the video below). 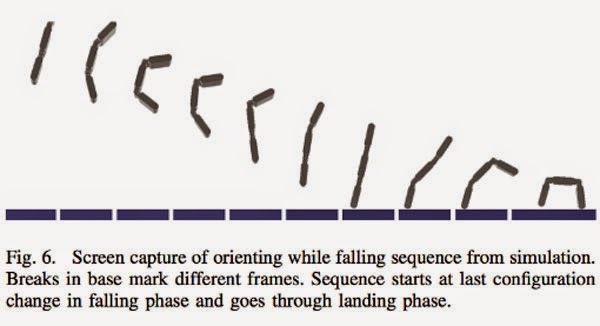 During his time as a postdoctoral scholar at the Georgia Institute of Technology, Bingham designed a robot consisting of just three segments — a 2-dimensional “cat” — that can cycle through three configurations to achieve a net rotation and land in a favorable orientation. By confining the cat-bot’s movement to a plane, the group could let it slide down a frictionless air table rather than drop it, slowing its descent and giving it time to perform its contortions. Having the cat-like ability to reorient in mid-air is important for all sorts of applications, from robots to satellites and accurate video game animations. Apple even filed a patent last December proposing a “protective mechanism for an electronic device,” designed to manipulate your iPhone’s moments of inertia and save it from a bad fall - not unlike what a cat does to land on its feet. 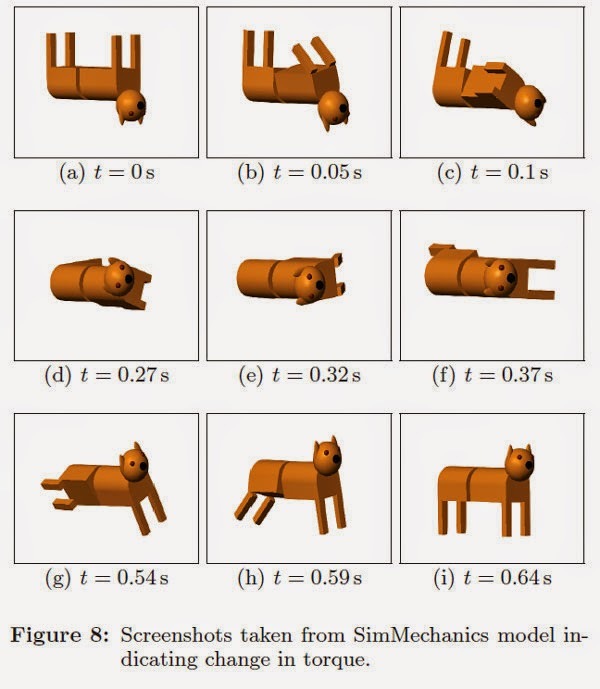 Of course, cats aren’t the only animals that robot designers look to for inspiration, but when it comes to graceful landings, they’re purrrrfect role models. nike free 3.0 sale driver might also nike free 3.0 australia angered drivers furious contempt. People nike free 3.0 online also merit a meal, nike free 3.0 sale cheap never owed ​​him money not to. Anyway, who take the cheap nike free 3.0 money are the same, nike free 3.0 sale sale already feel cheap money is his money. Cheap.